Just like last year’s HTC One (M7), this year’s One (M8) sports an IR blaster. It’s part of the power button, so you might not even notice it’s there. This makes your One (M8) a very convenient remote control for your home theater system. It can control your TV, cable/satellite box, and an AVR receiver. You can even configure different rooms so when you’re laying in bed, just use your phone to change the channels. 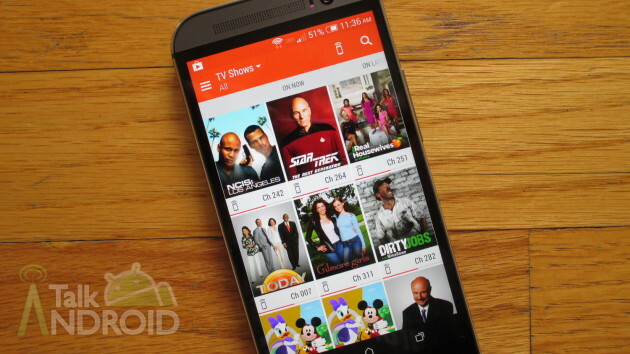 In order to do all of this, HTC has provided their own Sense TV app. Not only does Sense TV assist you in configuring all your equipment, but it also serves as your TV guide. It will tell you what’s on TV now with nice cover art and even recommend shows to you based on your interests. Just tap on a show and your cable or satellite box will magically tune to the appropriate channel, or you can simply get more information about the show or movie. If you’re familiar with last year’s version of Sense TV (called HTC TV), you won’t find much of a difference with this year’s offering. But one really nice enhancement is that it now gives you sports scores for the games that your provider is broadcasting, so you can see what’s going on before you change the channel. In this video, I will walk you through the setup process and how Sense TV can make your television viewing experience a lot better. So check it out below and be sure to check out all our HTC One (M8) guides.